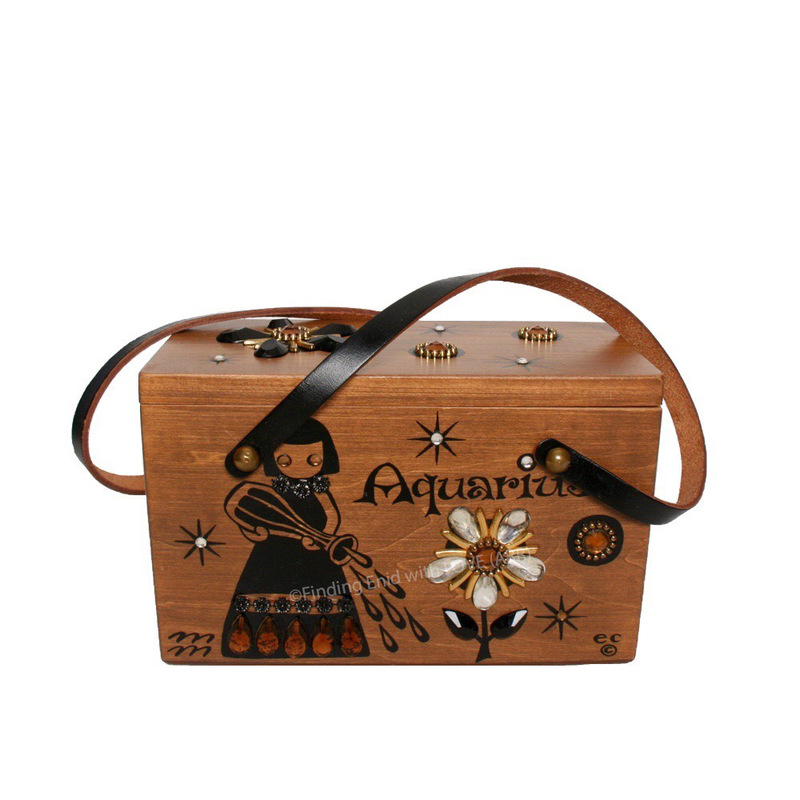 Zodiac series Aquarius bejeweled box bag in black. Black screen print and bejeweled box purse depicting an abstract human figure in a jeweled gown pouring water from a vessel toward a faux-gem flower. Top is decorated with jewel flowers and gold rings. Astrological symbol for Aquarius appears on lower left of front. Top-Opening box bag. Two handles. Reg. no. undetermined. Date: 1969. "Girl watering flowers;" "Girl with vase watering flowers."